SUPERB DUPLEX 10 PERSONS AT LA PLAGNE, ON SLOPES !! Apartment in angle on the slopes, located at the top of the gathering of the school of ski, the nursery and the departure of the skilift. In DUPLEX, 3rd and 4nd floor of a small building of 4 floors. Installation: 2 rooms with a double bed (= 4 beds), 1 large room with 1 double bed, 1 bunk bed, 2 simple beds (= 6 beds), corner TV for the children, bed linen doubles into 160 broad. 2 bathrooms each one with bath-tub, 2 WC . ideal apartment for 2 families !! We just spent 8 a very pleasant stay in this apartment in Plagne Village! Indeed, it is, conveniently located (near everything that is necessary for a successful stay in the mountains: supermarket, newsagent, selling packages, sports shop, ski school, on the slopes ...) . It is also very clear and sunny. At the foot of the building, eggs and shuttles (free) will take you to Plagne center Bellecôte Plagne, Belle Plagne ... if you want to walk around a bit. In short, we had a great time! Thank you to the owner! Exceptional location at the foot of the slopes, ESF courses in La Plagne Villages, a Spar supermarket and a ski rental shop. Useless car! Well equipped apartment, especially in the kitchen, and plenty of storage space. Bathrooms a bit dated but functional. Very good bedding. Possibility to rent the linen by the person who ensures the reception. 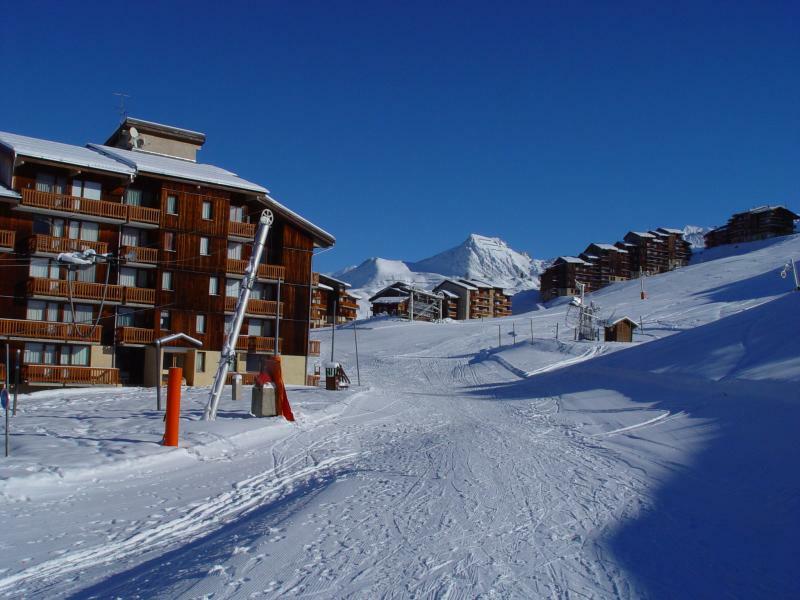 Very nice apartment, sunny, close to the slopes and shops nearby. We spent a great week in an apartment ideal for a large family. The snow was at the rendezvous and the ideal situation. We all stand to repeat the experience in this apartment. Congratulations Mr. Dulin and soon!